The choir restarted rehearsals last week, with a busy schedule of upcoming events to look forward to. 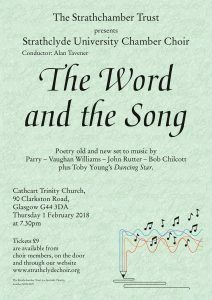 Only a few weeks away, our concert ‘The Word & the Song’ takes a musical look at the world of poetry. If you enjoy the rich harmonies of the uniquely british choral tradition, you will enjoy our programme featuring works of Parry and Sullivan, and a reprise of the wonderfully inventive and engaging set of songs by young British composer Toby Young. 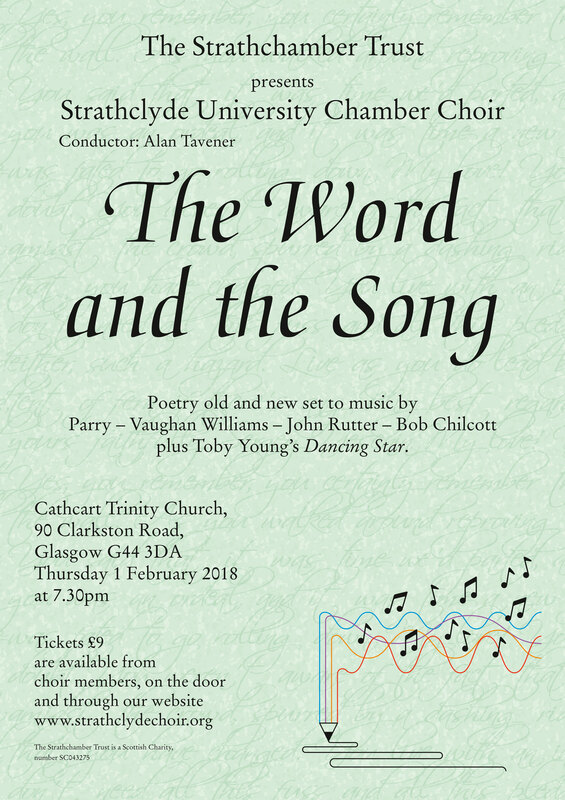 Young’s Dancing Star was commissioned in 2016 by three choirs including the Strathclyde University Chamber Choir, and sets texts by Yeats, Emily Dickinson, and Maya Angelou, amongst others. Modern it may be, but inaccessible it certainly is not – and Dancing Star was one of the highlights of our West End Festival performance last summer. 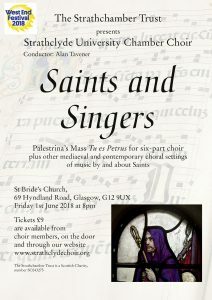 We always enjoy our visits to St Bride’s Church in Hyndland, and we will be back there in March for a performance of choral evensong. St Bride’s has a palpable atmosphere – in no small part due to the years of incense that have been absorbed into the very fabric of the building. A perfect setting to listen to music by William Byrd, Philip Stopford, and Glasgow composer James Macmillan. 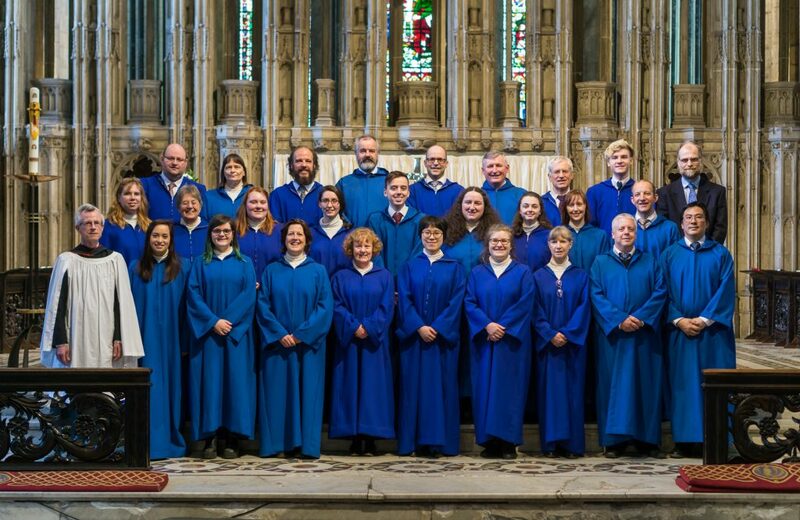 In April, we will be visiting Durham Cathedral, where we have the honour of being the visiting choir for a long weekend. But if you can’t quite get to Durham, our evensong at St Brides is the perfect opportunity to enjoy a taster from our Durham repertoire. 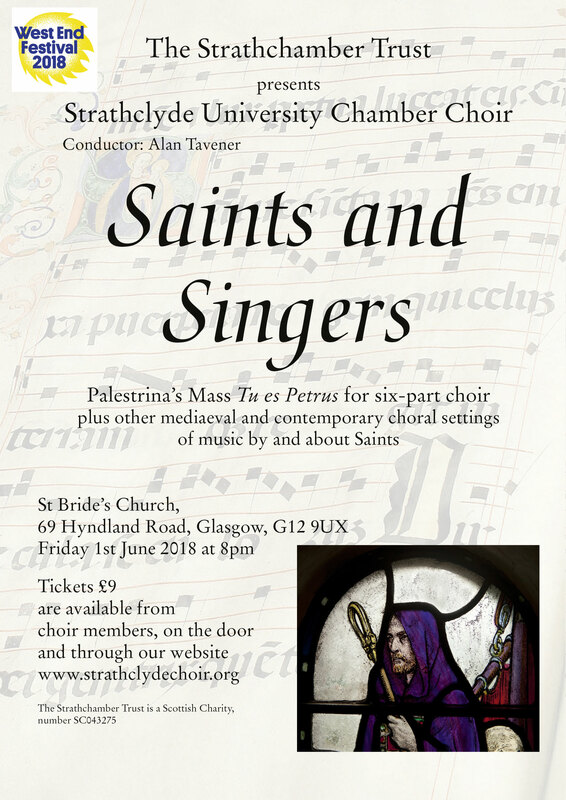 Visit our Concerts page for more details of upcoming events, and to buy tickets.